Empire of Books: Cover art for second PARTIALS book released! 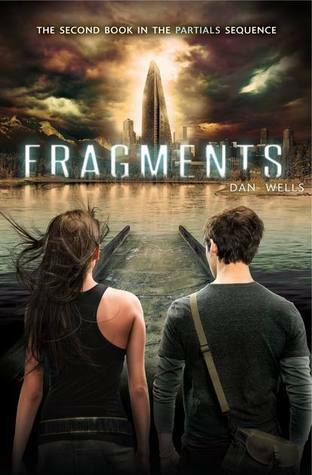 Partials by Dan Wells is another book sitting on my to read pile, but now the cover art for the second book has been released! Kira Walker has found the cure for RM, but the battle for the survival of humans and Partials is only just beginning. Kira has left East Meadow in a desperate search for clues as to who she is. That the Partials themselves hold the cure for RM in their blood cannot be a coincidence—it must be part of a larger plan, a plan that Kira knows she is a part of, a plan that could save both races. Her allies are Afa Demoux, an unhinged drifter and former employee of ParaGen, and Samm and Heron, the Partials who betrayed her and saved her life, the only ones who know her secret. But can she trust them? Meanwhile, back on Long Island, what’s left of humanity is gearing up for war with the Partials, and Marcus knows his only hope is to delay them until Kira returns. But Kira’s journey will take her deep into the overgrown wasteland of postapocalyptic America, and they will both discover that their greatest enemy may be one they didn’t even know existed.